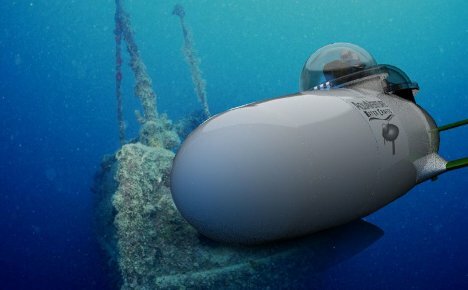 Personal submersible vehicles seem to be the next big thing, but so far they’ve been limited by the specialized propulsion systems that can be used in underwater conditions. The SeaBird has no such limitations, being tethered to a vessel on the surface by a cable up to 400 feet long. 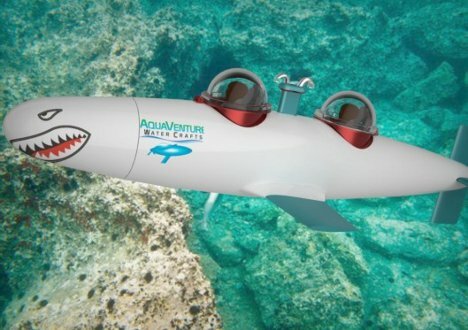 Its top speed is an impressive 25 MPH, which only sounds a bit slow until you realize that the top speeds of the independently-propelled submersibles are less than 10 MPH. The vehicle drives kind of like something out of a video game, with a side-mounted joystick and a control system that makes it capable of dizzying barrel rolls and incredibly steep climbs and dives. The external portion of the sub is robust enough to withstand depths up to 150 feet and a crumple zone protects the pressurized cabin in the case of an underwater collision. If the towing line between the SeaBird and the surface vessel is ever disconnected, the SeaBird will bob harmlessly to the surface. The first model that will be released will be a 21.5-foot two-seater. Thanks to the absence of a dedicated propulsion system the SeaBird will be comparatively cheaper than other personal submersibles…but you’ll have to supply the surface vessel, of course. The $210,000 price tag includes training for one pilot and the company is currently taking orders. 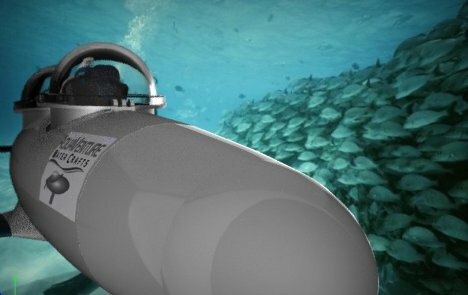 Maybe the price is a little steep for the average person, but for a company setting up unique underwater tours the SeaBird could offer customers a one-of-a-kind underwater experience. See more in Concept Vehicles or under Transportation. January, 2012.